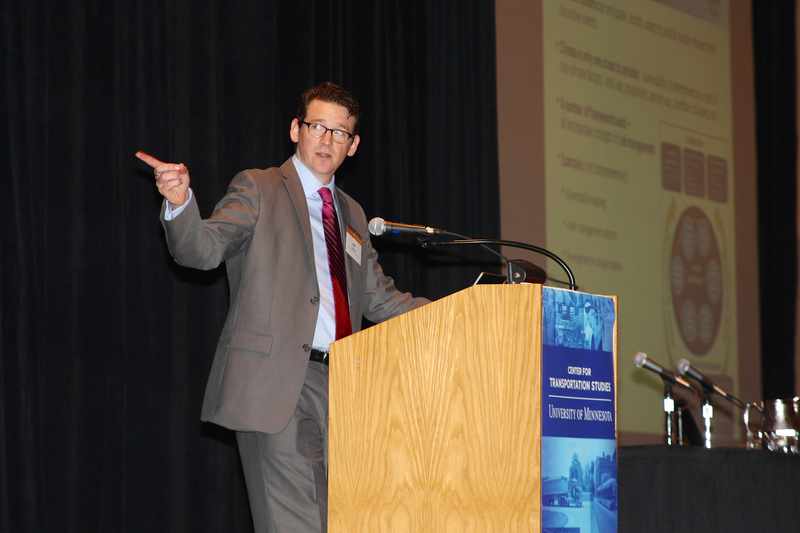 The 25th Annual CTS Transportation Research Conference successfully concluded earlier today, wrapping up a two-day whirlwind of more than two-dozen sessions showcasing a wide range of transportation research results and innovations. Presentations and materials from the conference, including video of the keynote speakers, will be made available on the CTS website in coming weeks. 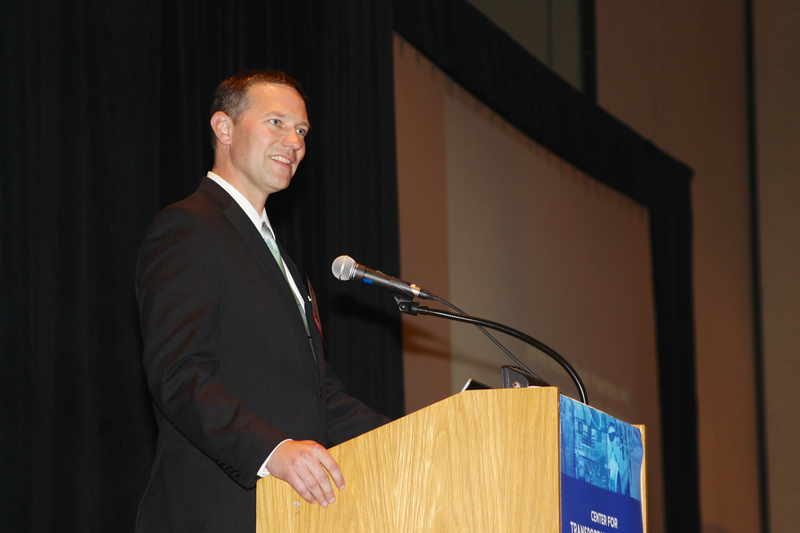 In the meantime, here are a few photos from the conference. 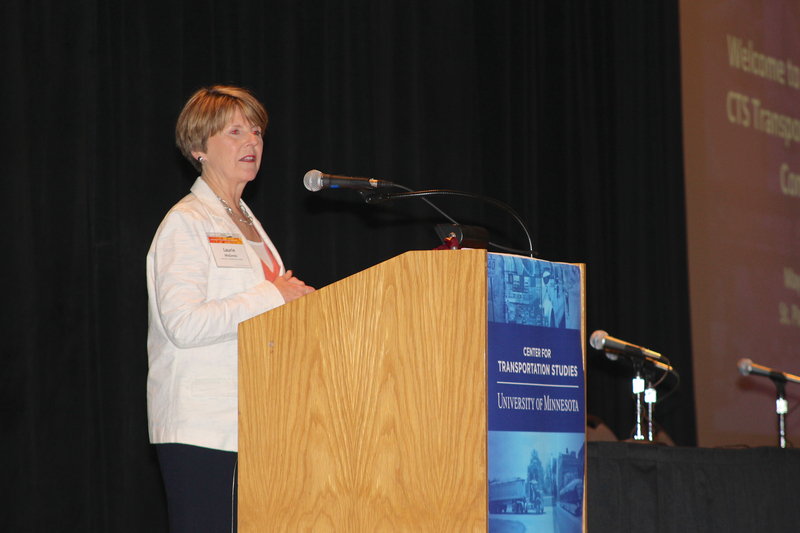 Center for Transportation Studies Director Laurie McGinnis welcomes attendees to the 25th Annual CTS Transportation Research Conference in St. Paul, Minnesota, on May 21, 2014. 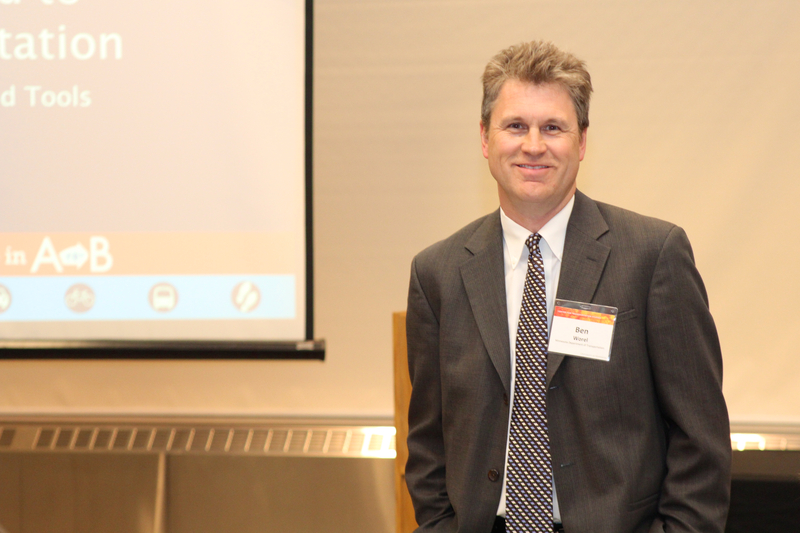 Joe Casola, staff scientist and program director for the Center for Climate and Energy Solutions, gives the keynote address on Wednesday. Casola said transportation officials should begin incorporating the projected impacts of climate change, including more frequent extreme weather events, into their planning. 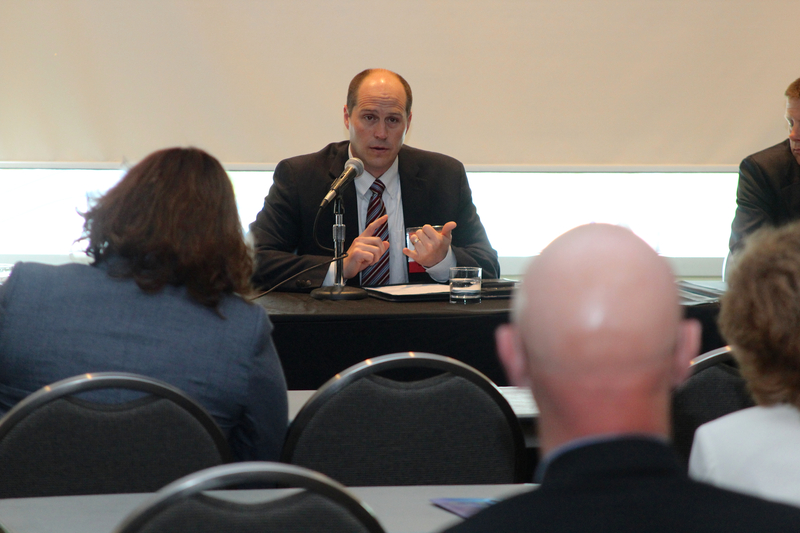 On Wednesday, MnROAD Operations Engineer Ben Worel moderated a session, “Building the Future on a Solid Foundation,” focused on geotechnical research. 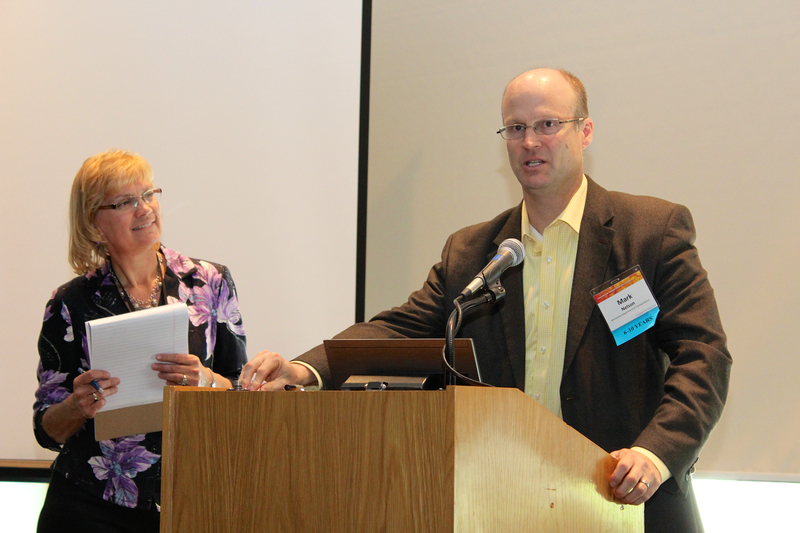 From left: MnDOT Research Services & Library Director Linda Taylor and MnDOT Planning and Data Analysis Director Mark Nelson answer questions at a session on transportation pooled-fund research projects. 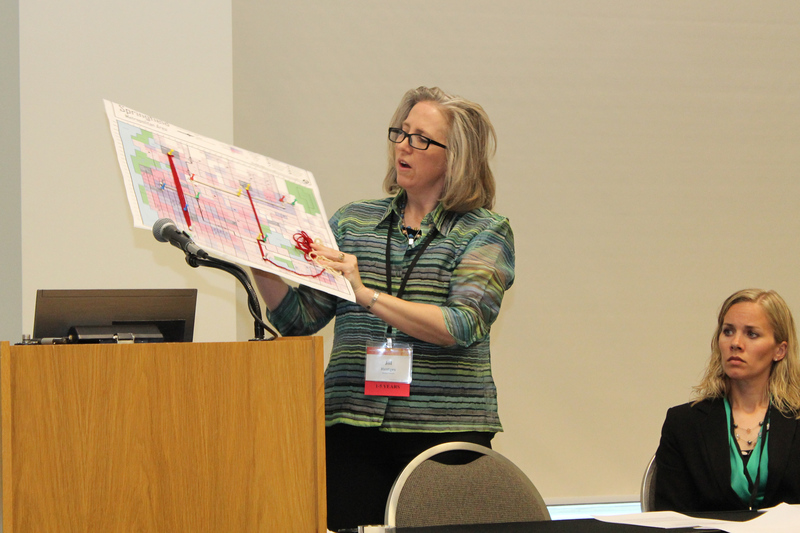 Jill Hentges, community outreach coordinator for Metro Transit, displays a tool used to help teach the public how planners optimize bus routes during a Thursday session on public engagement. Angie Bersaw, a transportation planner for Bolton & Menk, Inc., looks on. Bruce Hasbargen, Beltrami County engineer and Local Road Research Board chairman, answers a question at a Wednesday session on local agencies and stakeholder engagement.